I love do it yourself beauty treatments. The good ones can save you money, because most of the time the ingredients are simple (usually only 2-3 ingredients needed at most) and many of the items are already home necessities, so chances are high that you already have the stuff you need. 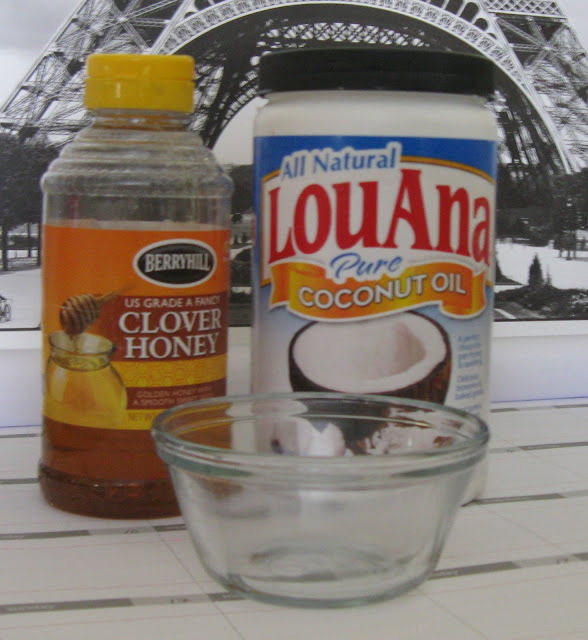 I had heard about the conditioning benefits of coconut oil and honey for hair and face. I read that this particular mask makes the hair very shiny. Yes, I'll take that! The recipe for the hair mask, I found online. You only need the two ingredients; coconut oil and honey (two teaspoons of coconut oil and two teaspoons of honey), as well as a microwave to heat the two ingredients for 30 seconds. *Make sure the bowl is microwavable, I used a small Pyrex bowl. Be very careful when you take the bowl out of the microwave, the oil is going to be very hot. You want the mixture to be hot, but not so hot that it's going to scald your scalp. You might need to wait a few minutes for it to cool a bit. The recipe stated that you need to remix the oil and honey before applying, as the oil and honey will naturally separate. I did mix, but waited a few more minutes for the mixture to cool off a bit more (it was still too hot). After these few minutes *I should have mixed again, as the oil and honey started to separate yet again, bahh! * I ended up getting more oil in my roots (which proved quite difficult to thoroughly rinse out) and more honey saturating the ends of my hair. The woman who had posted the recipe I followed used apple cider vinegar to "restore the natural PH in the hair". I skipped this step, but I might try it next time. Overall the hair mask worked pretty well. I rinsed the mask out, then shampooed as usual. *Make sure to really concentrate at the roots to get all the oil out*. I didn't use conditioner afterwards. I used a detangler before combing through my hair and using the hair dryer. 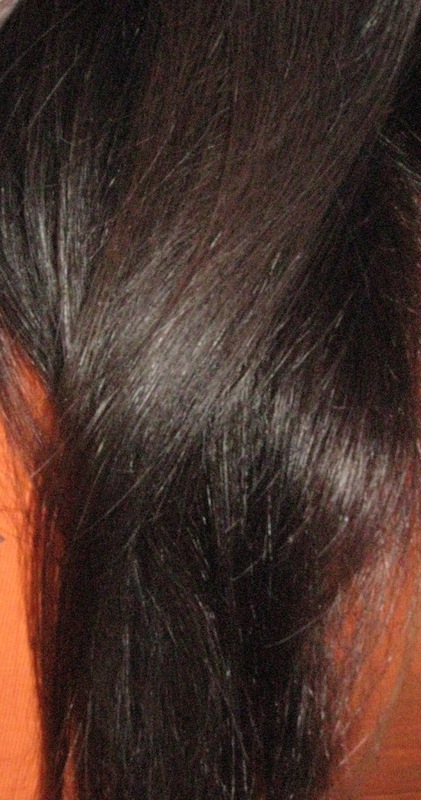 The results of the mask were most noticable at the ends of my hair. I have fine hair, so I get split ends very easily. This mask sealed a lot of my split ends (must have been the honey!) 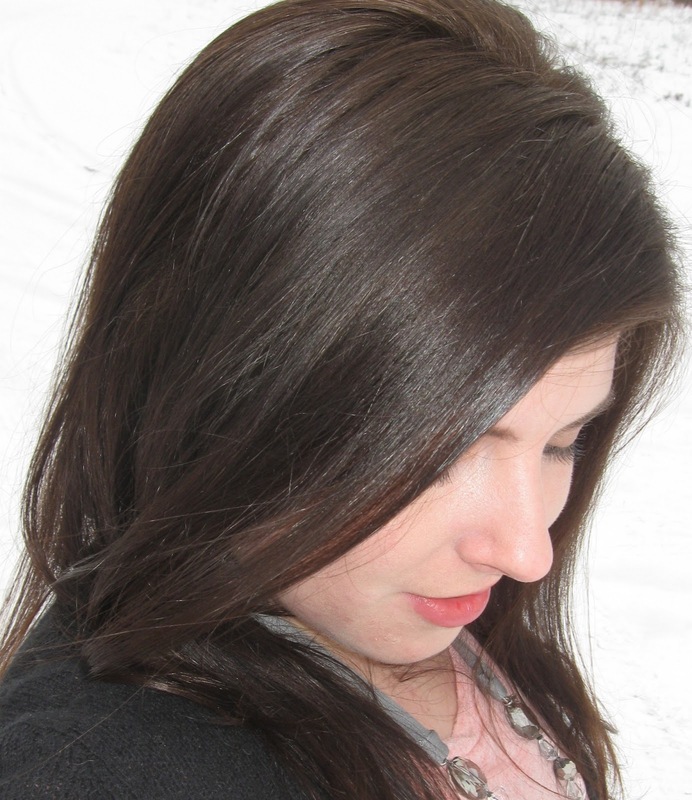 By the way, it was hard getting a good shot of my hair, how do other bloggers take pictures of their hair? Overall I didn't think my hair wasn't noticibly more shiny after using this mask, which dissapointed me a little. But I do think the mask helped to strengthen my hair and add moisture, which is something I needed from this nasty winter weather! *P.S. A word of warning: From what I have read, this mask can lighten your hair over time. Especially if you're in an area with a lot of sun. I like to use a hair spray with a UV protection ingredient.